In our search for sugar substitutes, today we take a look at two popular options. Xylitol vs. Stevia. These two artificial sweeteners are among the most used around. You’ll find them in various products. And maybe without knowing them, you may be using them too. Here’s our comparison of stevia and xylitol. Xylitol and stevia are artificial sweeteners which occur naturally in nature. Because of the more recent awareness of sugar’s harmful effects, these two products have become more well-known, mainly as a substitute for refined white sugar. Bothe Stevia and Xylitol do not contain any actual sugar. Hence, they are beneficial to people who monitor their sugar intake, especially those who intend to lose weight or those suffering from diabetes. Xylitol is a sugar alcohol that is obtained from several vegetables and fruits. And, with recent modern production techniques, it is now also obtained from corn cobs. This sugar substitute is identical to sugar in terms of sweetness. But its main advantage over regular white sugar is that it contains fewer calories. Xylitol approximately has two thirds calories the calories of sugar. 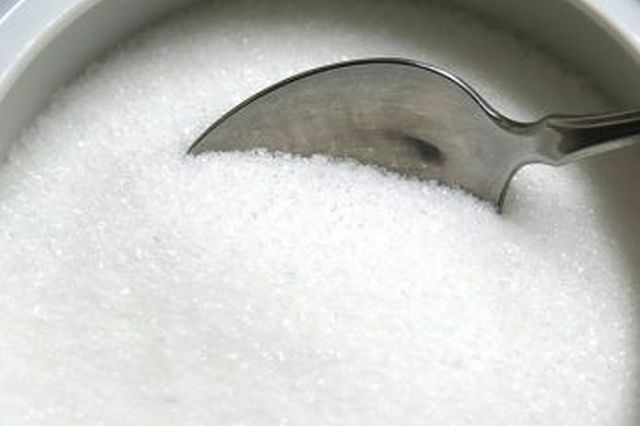 This sugar alcohol is mainly used in production of gums, toothpaste, candy and other many items. As for stevia, it is obtained from stevia rebaudiana, which is a tree that is found in South America. 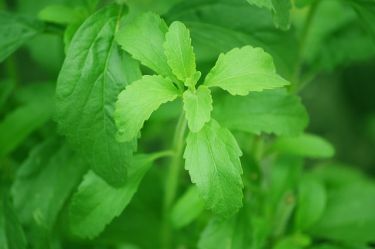 The leaves of the stevia plant are what’s being used as an alternative to sugar. Stevia is often used to sweeten tea. It is also applied in the manufacturing of medicine. Unlike xylitol, Stevia is much sweeter than sugar. Another advantage it has over sugar and xylitol, is that it is calorie free. Yes, zero calories. This is one reason why it’s one of the most popular non-sugar sweeteners around. As with all things, these two artificial sweeteners have their benefits and side effects. Their major advantage is that they can be used as a sweetener that does not cause as much a spike in blood glucose as white sugar does. This makes them valuable in many ways. One is for individuals who have diabetes. People with diabetes regularly need to closely monitor their blood sugar. 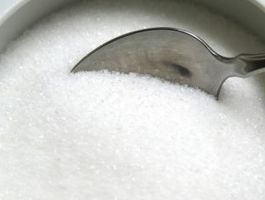 Since these sugar substitutes do not contain sugar or have the same effect on blood glucose as regular white sugar does, it lets more people enjoy the sweet flavor without the side effects of sugar. However, these two sugars have a major disadvantage which is that they have adverse effect on one’s taste buds. Both Stevia and Xylitol work by constantly training or re-training our taste buds to a higher level of sweetness. This eventually leads to craving that sweetness of sugar or sugar alternative. This is one reason that long term use of many of these artificial sweeteners aren’t recommended. Stevia has hypoglycemic properties which helps in insulin secretion in people with type two diabetes. It does this by acting on beta cells directly. But is should not be used with blood sugar lowering medications. As doing so may double their effects and cause blood sugar levels to drop too far, resulting in hypoglycemia. 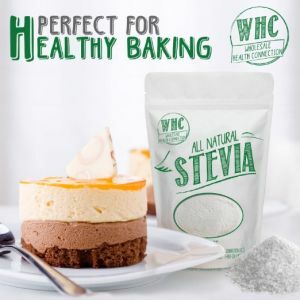 Also, Stevia has not been approved as a food additive. The reason is that it affects the ability of the body to control blood sugar. Do note that while effective, stevia should be taken within limits. The bigger a person is, the more their body can take without getting saturated. The smaller your are, and the lighter your are, the less stevia you should be consuming. High amounts of stevia in animals has been linked to decreased fertility and a source of genetic mutation in offspring. Hence, it should be used with caution as a dietary supplement in animal feeding. 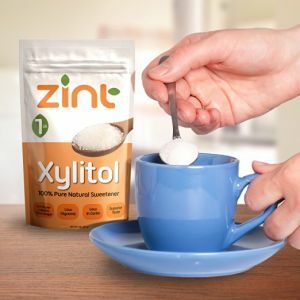 Xylitol is a good sweetener but unlike stevia it has less effect on blood sugar as it contain a number of carbohydrates. As a result it isn’t zero calories. This sugar alcohol is beneficial for a person’s teeth as it prevents tooth decay by reducing cavities and strengthening the tooth enamel. It has also been shown to be effective in working on cavity causing bacteria. Hence, it prevents cavities from developing in teeth. Xylitol is also being considered as a potential protective treatment against other infections including common flu. Though more research is needed in that topic. Do note however, that xylitol isn’t safe for large consumption, as helpful as it may be in many ways. High consumption of xylitol is attributed to gastrointestinal problems. These include diarrhea, gas and abdominal bloating. These gastrointestinal problems occur mainly at high doses of 100 grams a day or more. The consumption limit of xylitol should be 50 grams or less a day. In conclusion, these two sweeteners can be valuable in helping you find a substitute for white sugar. They are considered to be better options compared to regular sugar as far as their effects on blood glucose and calories goes. However, their benefits only up to a point. And using this in moderation is important because they do bring side effects with them, including weight gain (if you end up eating more).